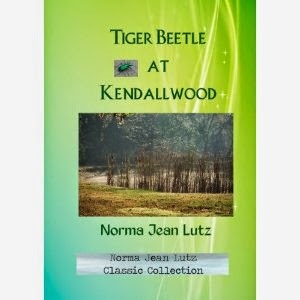 "Tiger Beetle at Kendallwood," by Norma Jean Lutz, is a clean teen book about a girl who discovers that changing who you are isn't the best option. The main character, Marcy Hankin, is a smart, scientific girl who loves collecting bugs at the abandoned Kendallwood estate. But when Spence Caldwell, the state football champ, moves into the estate, Marcy loses her bug-collecting stomping grounds, and furthermore, as she's pressured into trying to impress him by her sister, she loses her identity. As the plot moves forward, the reader discovers that there is more than meets the eye with Spence, and Marcy learns an important lesson. This is a book written years ago, but is still relevant today because of the focus on timeless emotions and situations. This is a book that is engaging and interesting, yet is clean. This book is a must-read for anyone who wants an entertaining read that is wholesome and refreshing.